We have worked extensively with a variety of courier services to put together the most reliable and cost effective range of delivery options, depending on size and value of order / item and delivery location. All website prices include delivery. This covers a standard delivery service which we will choose based on item value and delivery location. 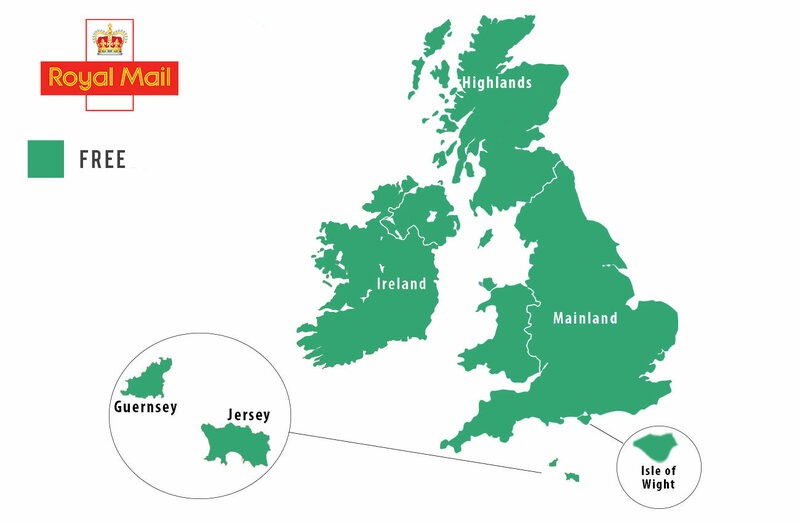 Most items to UK Mainland will be carried by either Royal Mail or DPD. These deliveries generally take around 2-3 working days and are both tracked and insured for your peace of mind. Inexpensive items are usually sent with Royal Mail on their standard service which usually takes between 2-3 working days. Enhanced delivery options are available on all orders. You can upgrade the delivery of inexpensive items to be carried by Royalmail 48hr Tracked (if you need the delivery to be tracked) or DPD (if you need the item quickly (next day or two), with full tracking (delivery time provided). DPD provide the ideal service for Items required in a hurry. Parcels are fully tracked and notifications are sent to keep you updated. On the morning of the scheduled delivery date, DPD notify the recipient with the estimated delivery time which is accurate to within one hour. 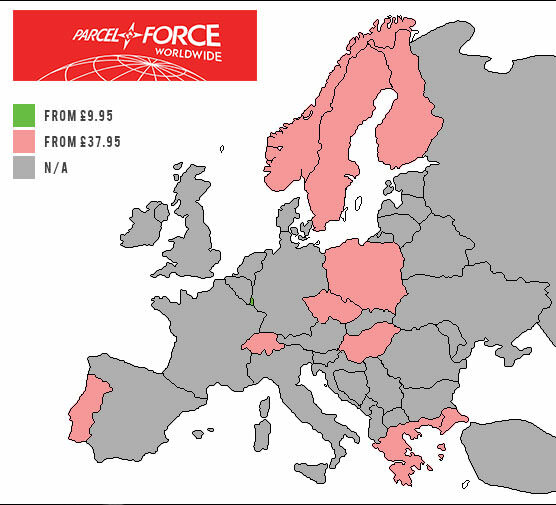 We use Parcelforce for orders with European delivery addresses, that are not covered in the above image. Delivery time-frames with Parcelforce vary according to delivery location however are generally completed within 5-6 working days. we can offer the most competitive costs with our variety of courier services.